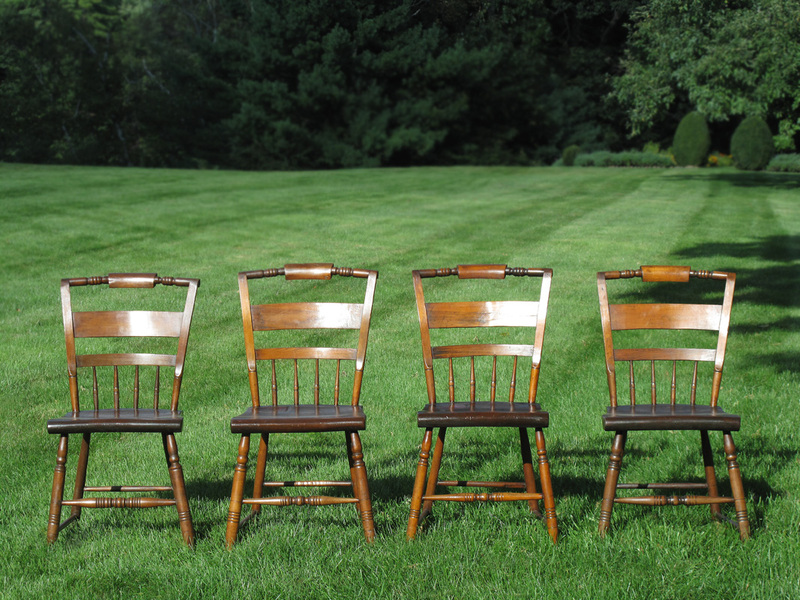 Offering a set of four handmade Hitchcock chairs. Circa 1820-1840. They have a nice patina, with an old shellac finish present. 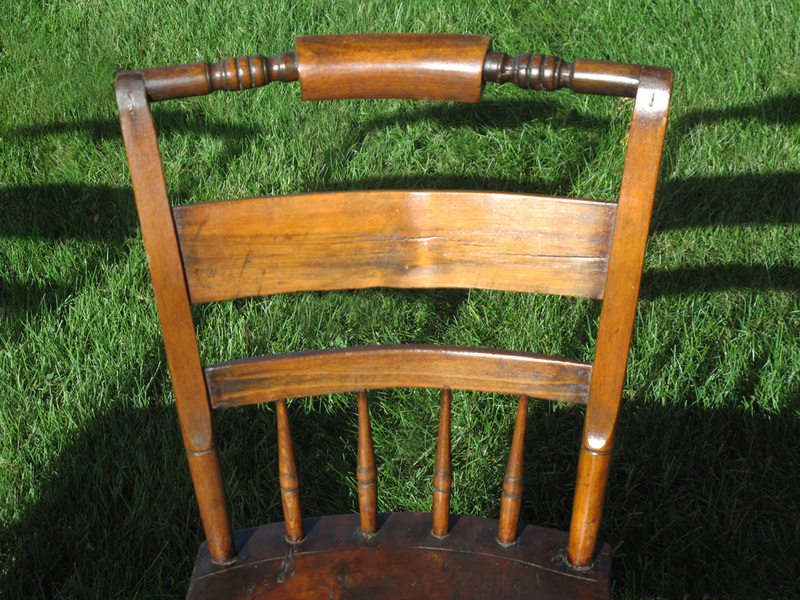 The chairs recently received a coat of very fine museum quality English wax. All the joints are very stable and the chairs feel very solid. There are nice details of a skilled craftsman, with carving marks and nicely turned legs. 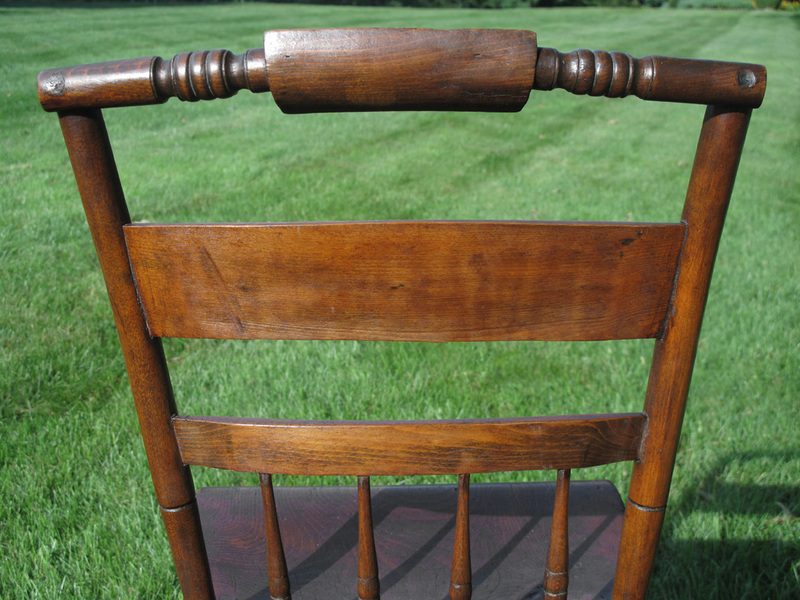 Most Hitchcock chairs are painted black, but these happened to be finished Yellow Pine & hardwood. Under one of the chairs, there is very faint painted lettering, showing to whom the chairs were made. I haven’t been able to make out the entire name. 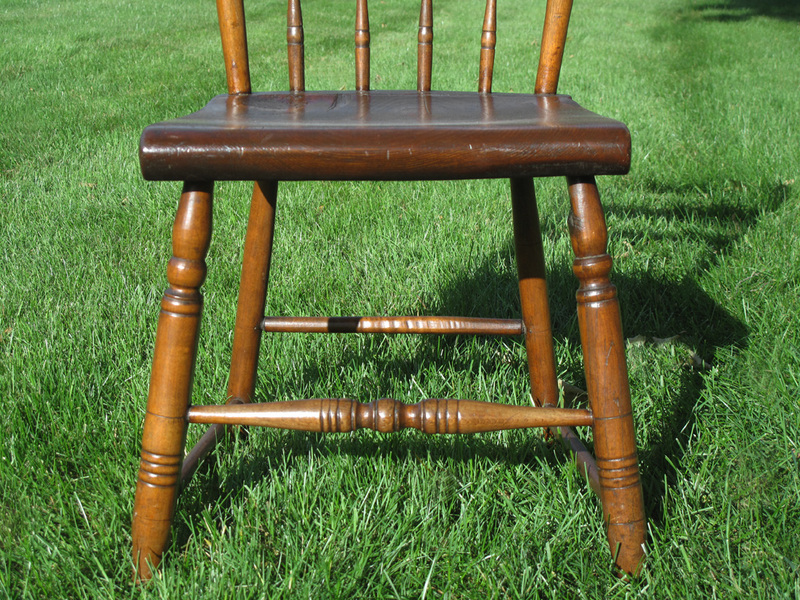 The chairs came from a farmhouse in Western Massachusetts and were likely made locally, with some parts potentially from the Hitchcock Co. 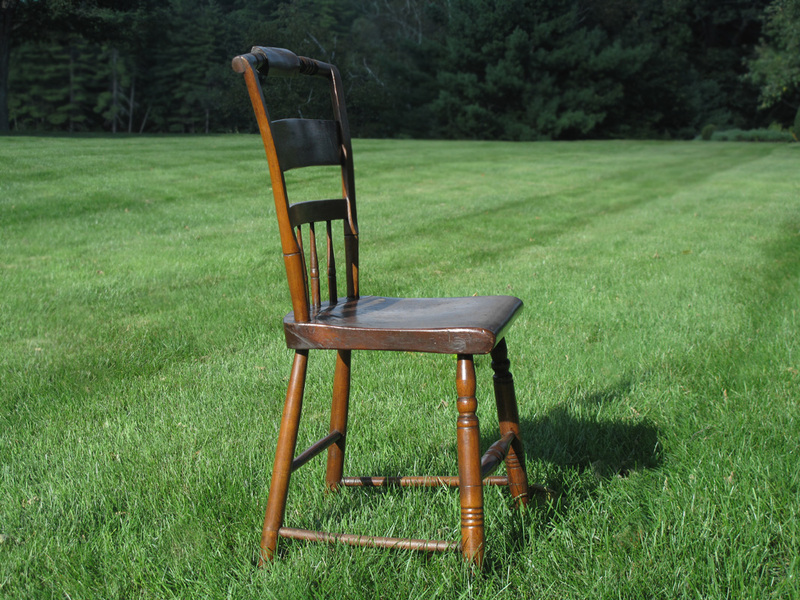 In 1818, the Hitchcock company started in the business of selling chair parts. Please be in contact for shipping and handling charges. They could ship UPS, with two chairs to a box. Freight is another option. International shipping can be arranged.